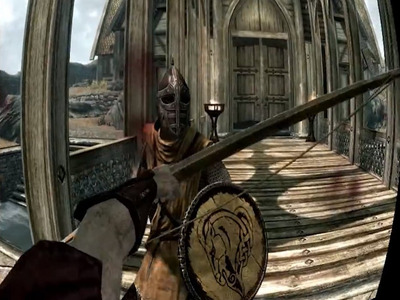 Right Now, Everyone Thinks Of Virtual Reality As Games And Games Alone. Not True. Right now, everyone thinks of virtual reality as being for games and games alone. Recently, I was privileged to test a special application built for the Oculus Rift, which showcased the ability to jump right into a live concert. I took the Rift off my head, and I was back inside Business Insider’s conference room. The future of virtual reality is incredibly exciting. But right now, the main focus is games. And here’s why. In 1962, decades before Steve Jobs tried to make computers “personal,” Steve Russell sat in a small room at the Massachusetts Institute of Technology working in front of the PDP-1, the first computer to utilise a visual display. Computers back then were cold, unfriendly machines. 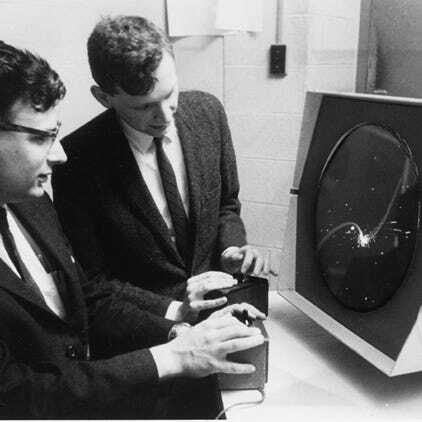 But Russell wanted to demonstrate the capabilities of this new digital equipment, so he created a game, called “Spacewar.” And once the game was created, it was nearly impossible to pry the MIT students and employees away from the computer. Video games made computers approachable. And the same thing is happening today with virtual reality. Just like that era, the quality of VR games is somewhat poor currently. The controls can be wonky, and the visuals don’t even approach the quality of PCs or today’s living room consoles like the PlayStation 4 and Xbox One. But it’s a start. The ideas are there, and people are certainly experimenting with VR more and more — first through Facebook-owned Oculus, and now through other primordial (see: cardboard) systems built by Google, Samsung, and others. Virtual reality is just getting started, but the goal is clear: Total immersion. With other display-based technologies — computers, phones, tablets, and video games — you might feel immersed, but you’re innately aware that you are still disconnected from these devices, and you can always turn them off. Virtual reality, on the other hand, wants “you to achieve the impossible and believe you’re in another world,” according to Oculus CEO Brendan Iribe. 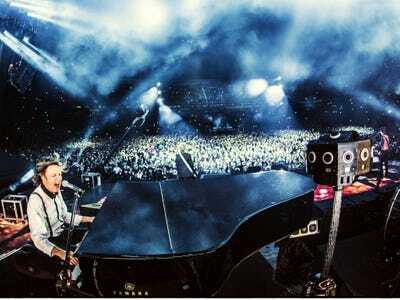 Like that Paul McCartney concert, the ultimate goal with VR is to get you to experience something you’ve never done before — to truly believe you’re there, and have an authentic experience. Perhaps this means you’ll be able to sculpt without buying clay (like in the GIF above), or experience skydiving without needing to jump out of an aeroplane, or visit far-away places like the Himalayas or the gardens of Kyoto without needing to leave the country — or our own bedrooms, for that matter. And who knows how current smartphone apps could translate to virtual reality? Maybe online dating will be transformed by VR, where “Tinder for Oculus” would allow you to see your potential dates as they really are — not just a few random pictures from Instagram — and let you “swipe right” by nodding, or “swipe left” by shaking your head. Maybe Yelp for Oculus would let you actually explore restaurants, bars, and clubs before you decide to take a date there. Again, these are all far-off dreams, but they would add considerable value to our own digital experiences. Companies like Oculus acknowledge there’s a long way to go: virtual reality needs new rendering and graphics architectures, as well as new art approaches to accommodate the “considerable demands” required to build great VR. But the promise of total immersion — being transported to a separate reality, or perhaps the same world but from a perspective you’ve never seen before — is the next best thing to our own lives. That might sound like hyperbole, but it’s absolutely true.